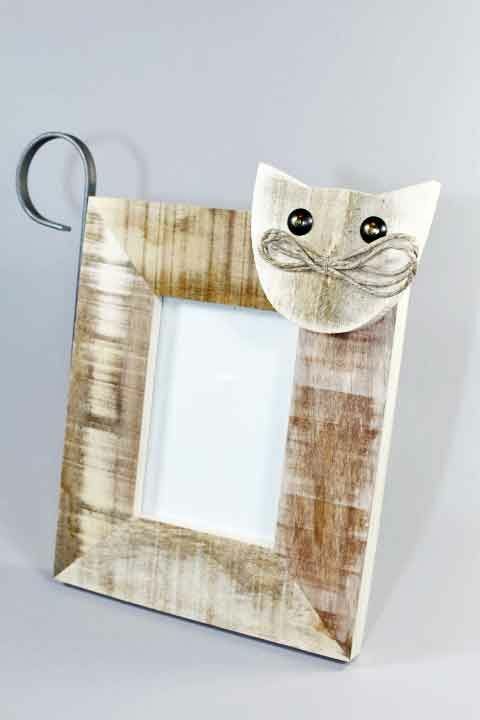 Centro Del Mutamento cat face and metal tail picture frame is made from 100% natural wood and measures approximately Hx13.1" and Wx10". Frame stands vertical. Made in Italy.